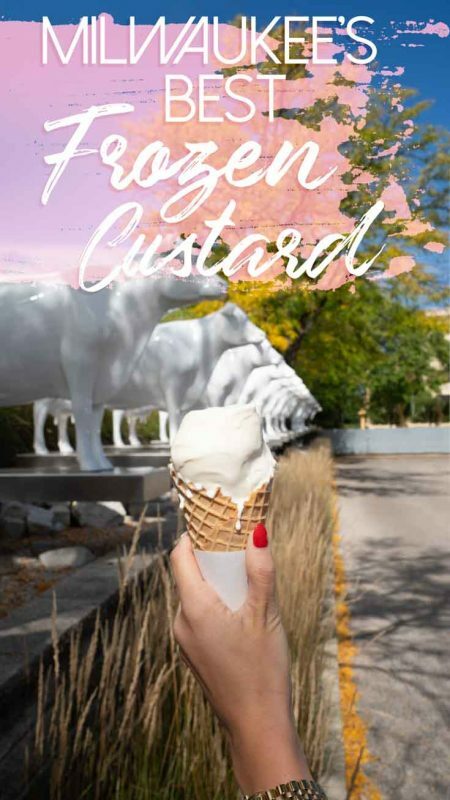 In Milwaukee, we don’t have boring ole ice cream we have frozen custard. You’re probably wondering “What is Frozen Custard?” Frozen custard is made with eggs and of course cream and sugar. This creamy goodness is also served at warmer temps making it super soft, no one likes waiting around for their ice cream to be spoonable or even worse breaking a plastic spoon trying to get a scoop. 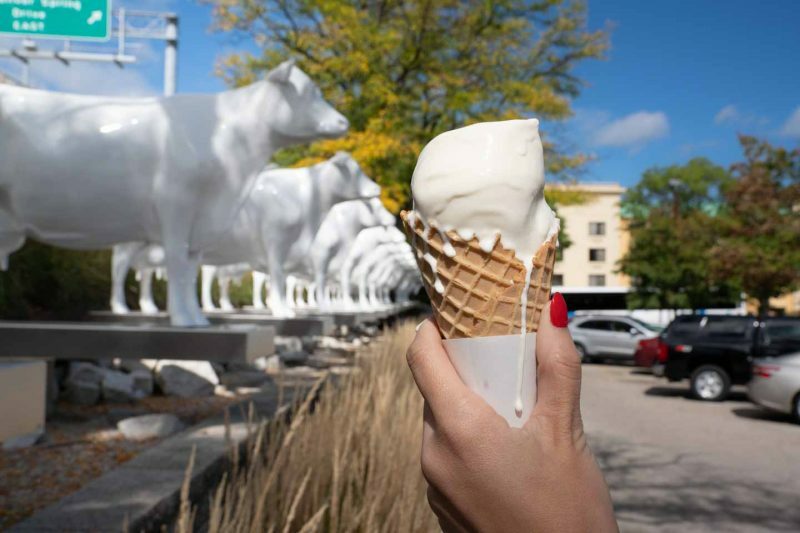 Fun Fact: Milwaukee has the highest concentration of frozen custard restaurants in the world per capita! You are never far from a fresh scoop of Milwaukee frozen custard. With so many options we’ve put together this list with some of the best frozen custard restaurants in Milwaukee. 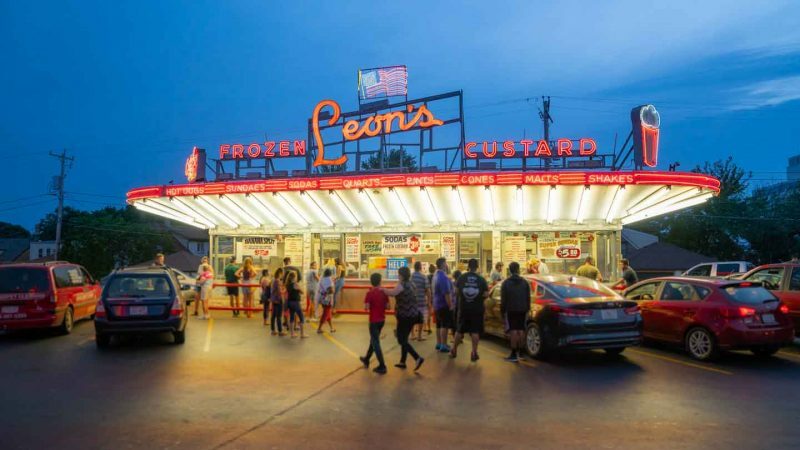 You won’t be disappointed with any of the places on this list, but if you only have time for one stop we’ve put these in order of our favorite frozen custard in Milwaukee. Kopps is a landmark in Milwaukee. They were the first to introduce the “Flavor of the Day” and now you will notice almost all Milwaukee frozen custard restaurants have a flavor of the day. Kopps features two flavors of the day as well as vanilla and chocolate frozen custard available daily in a cup or cone. They have a full sundae and shake menu as well. Kopps is known for their frozen custard but they also have tasty jumbo hamburgers which make the list of our top burgers in the city, making this place a double threat. This is the place we always send people from out of town, this is Milwaukee comfort food at it’s finest! Culver’s is a chain restaurant that started in Wisconsin in 1984 and now is 136 Culver’s in the state of Wisconsin. Due to its success, Culver’s restaurants are now in 24 states throughout the USA. 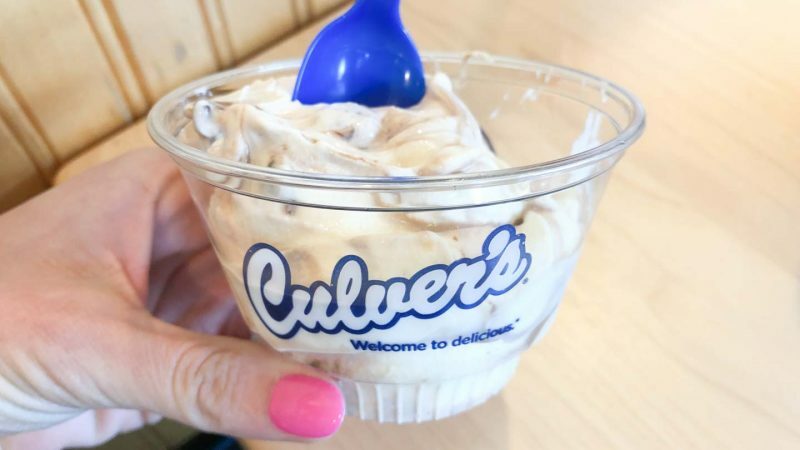 Culver’s serves up one flavor of the day, make sure to check their website or app and visit a Milwaukee Culver’s location that has a flavor of the day you like. Plan on having a whole meal here not just for dessert Culver’s is famous for their Butter Burgers as well, it’s 100% Midwestern beef that’s never frozen and made to order served on a buttered bun. Click here to check the flavor of the day. Each Culver’s Restaurant sets their hours some open earlier and stay open longer but the standard Culver’s hours at 10:30 am – 10 pm. There are 10 Culver’s locations in Milwaukee County we’ve listed the just a few. Gillies is Milwaukee’s oldest custard stand was established in 1938. Gillies has a large sundae and sandwich menu I suggest the grilled cheese and a mint marshmallow sundae with jimmies. If you are driving to Northern Wisconsin and going up 41 North you can stop in Fond du Lac and visit the Gillies Frozen Custard there that was open in 1949 by the original owner’s brother. Flavor of the day calendar here. Have a scoop of fresh frozen custard with a view at Northpoint Custard. This local chain has three locations one of which is right on Lake Michigan at Bradford Beach. Northpoint Custard is one of the very few shops that doesn’t feature a flavor of the day but they have plenty of sundae options to make up for it. They also have quarter pound burgers and cheese fries! If your trip to Milwaukee is short on time make sure to grab a scoop of fresh Milwaukee frozen custard before your flight home. This custard shop is located right in the Milwaukee airport before security. 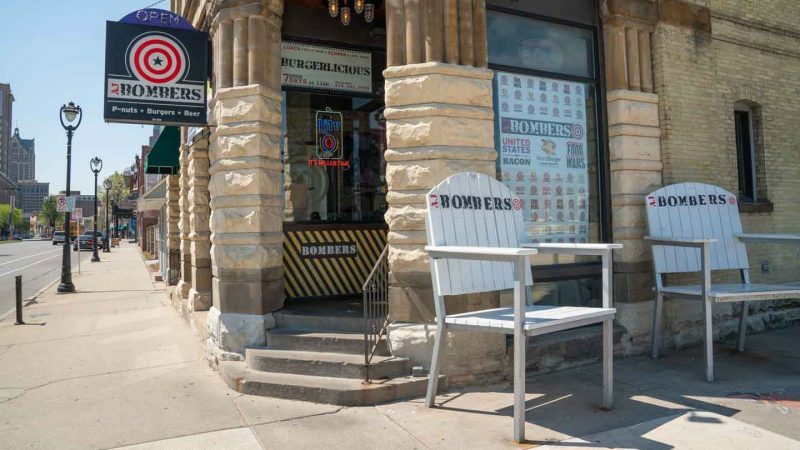 AJ Bombers is most famous for winning the best burger on the Travel Channel’s Food Wars but not only do they have amazing burgers but they also serve up some tasty traditional Milwaukee style frozen custard. No other place in Milwaukee can you get your frozen custard spiked, have an adult shake they feature different alcoholic frozen custard shakes weekly. For a 5-star winning meal, we suggest getting their Milwaukee Burger (the winning burger on Food Wars), Wisconsin cheese curds, and some custard. They also make our list of the best burgers in Milwaukee, so whether you come for desert or a meal – you won’t be disappointed! Due to their success and awesomeness, they now have 4 locations. You can grab burger & cone even at Miller Park! Oscar’s started out with one location and has since moved opened up two more locations. They feature a flavor of the day as well as tasty quarter-pound hamburgers for only $2.59. Flavor calendar can be viewed here.